This family knows no limits. They dream. They believe. They reach. They stumble. They bounce back. They work harder in one week than most people do in a year. And do they ever love a challenge, especially when they crush it. It’s the craziest thing and it’s so darn inspiring. Always in motion, the Palmer family is one of the best examples of teamwork in action you will find. With diverse interests, hobbies, businesses, social engagements - they know how to squeeze the last drop of productivity out of a moment, and yet they find time in crazy crowded calendars to show up for each other. Every task large or small is approached with the attitude of how can I make this better? People leave Long Branch recharged, motivated and with stories to share. The Palmer sisters were the first Americans to win a Federation Equestre Intrnationale Meet. Event Planner Extraordinaire, Cassidy Palmer sweats the details so you don't have to. Like all Palmers, she is a roll up your sleeves and dive into the nitty, gritty sort of person. Your classic over-achiever, she will do whatever it takes to make sure your event is memorable. According to Cassidy, 90% of the first time clients at Long Branch Farms have never planned an event before, so she is happy to share insights gleaned from the now thousands of events hosted here over the years. Having been involved on the crew her whole life, she has it down to a science, basically all you have to do is: pick a date, call Long Branch, show up and have fun. When she isn't meticulously overseeing details on the ranch, Cassidy uses her flair for fashion design to sort out costumes and music and movements with her sister Kimmy. World Class competitors in Equestrian vaulting they have a heavy duty workout schedule both on and off the horse. One of the pillars of any private eventʻs success is the catering and Kimmy Palmer is the go-to caterer for Long Branch Farms. Her love for baking started as a child and now she is the owner of Granolaʻs Coffee House in Half Moon Bay where comfort food warm from the oven is served up alongside delicious coffee. Motivated to make very good use of time, you will see her behind the gigantic grill, radiating joy as she ensures the cooking crew has the hustle bustle of the outdoor kitchen operating at the right temperature. No one ever leaves Long Branch hungry. The ultra-resilient, super strong Kimmy is a world class Equestrian vaulter with her sister Cassidy. If you are looking to elevate your aspirations, she is someone to talk with. Explorer, adventure seeker and ready to switch gears at the drop of a hat, Colton Palmer is a key player on the Palmer Dream Team. He makes sure when “”It’s Go Time”, everyone and everything is in its place at Long Branch Farms. Growing up on the ranch and participating in the construction of the old western town, Coltonʻs resourcefulness and passion for problem solving grew. Currently working towards a degree in Engineering, Colton brings what's new on campus to the old west, whenever heʻs home. Itʻs the best of both worlds, high tech and high touch. Along with his sisters, Colton is also a world class Equestrian Vaulter. When he isnʻt training, you will find him jeeping, camping and sleeping under the stars. Driven. Horse Whisperer. Champion. Jill Palmer is committed to insuring everyone reaches their full potential. 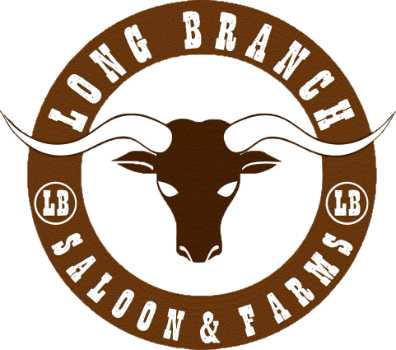 Her kids, her horses, her friends, her community, and all the guests at Long Branch. Like many moms, she is the glue. Its pretty much about quality time, all the time. Along with her love for the traditions of country life, Jill also is passionate about education and travel. She coordinates the entire family globetrotting for vaulting competitions. Juggling details is just part of her DNA. In her, dare we say “spare” time, Jill loves to sew and create those personal touches that make a house a home and an event magical. Visionary. Patriarch. Entrepreneur. Kevin Palmer is the quintessential leader. Committed to his family and the spirit of living your life to the fullest, his dream of Long Branch has been built to inspire generations to come. Kevinʻs love for the nostalgia of the old west includes a story of buying the local gun shop and starting a termite business. Itʻs one of the many eclectic stories you will hear when you visit the ranch. Be sure to ask him about why the only song he has on his mobile phone is the Mustache Song from the movie A Million Ways to Die in the West. When Kevin isnʻt adding to his enormous collection of vintage objects to preserve the local history, he can be found at any one of the many businesses he owns and operates. The word around Half Moon Bay is, if Kevin discovers an opportunity, he starts a business. Each one with its own mission. His quest for Long Branch - to create as many magical, memorable moments as possible.